Overlooking the south end of Flathead Lake is a space reserved for an indoor ice facility. The Mission Valley Ice Arena a 501c3 non-profit is excited to provide a multi-use facility for youth and adults to safely and regularly enjoy all manner of ice sports. 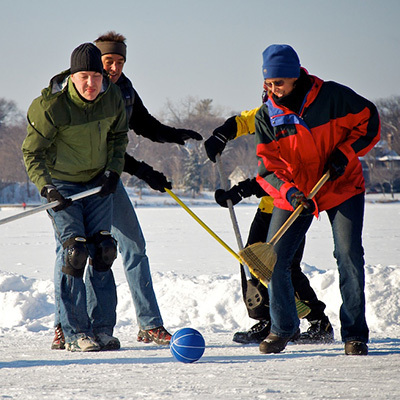 We intend to provide our community with a fun, safe, and accessible location to enjoy ice sports for many years to come. This also will benefit businesses and partnerships within the community. Our 501c3 Number is - 46-4457939. Our board is made up of a variety of folks from the Mission Valley. Everyone has a passion for one reason or another for ice sports, and they are working hard to bring a quality ice sporting experience to our valley for kids of all ages! Just like our rink, our photos and bios are coming soon. An effort like this requires a great deal of community support. Your donation of time, money expertise and more are something we think is pretty cool, and enormously appreciated. To find out how to join the MVIAA team click below and together we provide the Mission Valley a cool place to enjoy new winter activities.